Artists, galleries, museums, and owners of art are familiar with our guaranteed protection when packing and shipping their most valued work. Cartons and Crates’ uses deluxe artwork shippers, with heavy-duty plastic, lined top and bottom, to prevent punctures. We also design packaging so artwork can float between thick, soft foam pillows. You know about making, exhibiting and selling art; it's our business to know about safely packing and shipping it! For specialized orders, when your highly valued art needs to be in a maintained environment, we have temperature-controlled vehicles to transport the works of art safely and securely. Modern and contemporary artists often use experimental methods in their paintings and sculpture, and that's when expertise in packing and shipping art is critical. 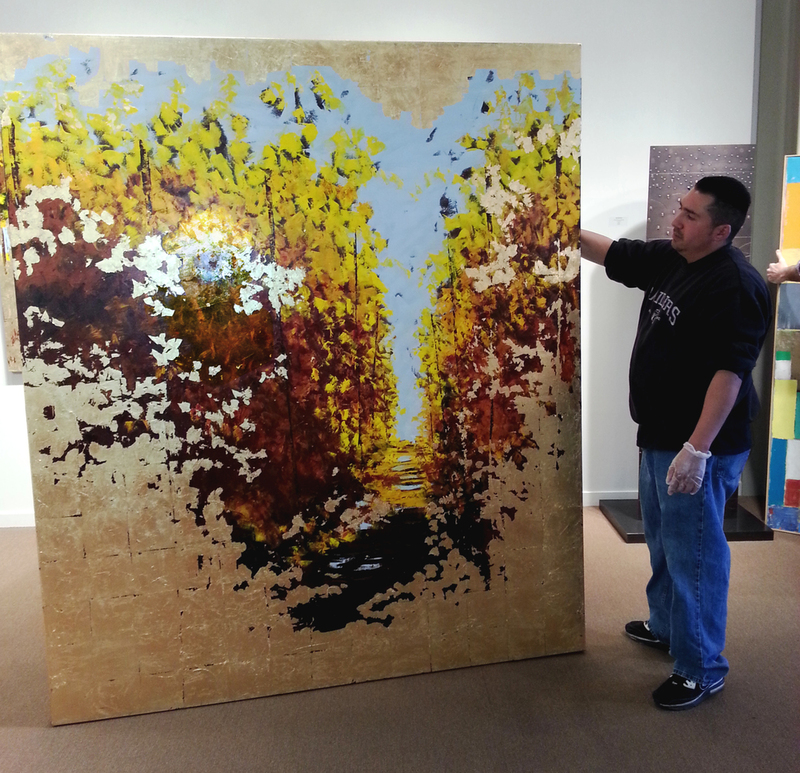 We individually handle Works of Art, in a one-of-a-kind packing and shipping process. We even use white gloves when delicate fibers are being packed, such as antique quilts or kimonos. Not only “Old Master’s” art, and priceless antiques, but all art including fine wine collections, requires the highest packing and shipping quality. Fragility requires protection from damage – that’s why our system of packaging fits the art, whether it is large-scale paintings, heavy sculptures, or museum quality textiles. 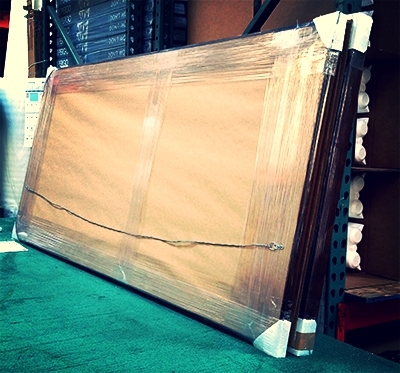 We know how to carefully package and ship art treasures, whether they are antique in nature or modern in influence. We are not strangers handling your work, but rather professionals who properly look out for your art from the time you bring it in – or - we pick it up from your studio, gallery, museum or home. Our record of trust has been built over two decades, a true endorsement of our packing and shipping methods. By letting us step in and take over safely shipping your art, you can concentrate on the making of it, getting work ready for exhibitions, or satisfying your clients with a quick-turnaround. When your clients buy art, they would like to have it shipped as soon as possible, so they can start enjoying it in their business or home. We can help increase your sales when you ship with us – you have more time to focus on your art and sales by making us a part of your team. Our highly trained staff will do the shipping for you, both domestically and internationally, saving you time and money. Cartons and crates – artist’s, gallery’s and museum’s packing and shipping partner.